Just when you thought you got away from Chael Sonnen’s nonstop chatter, Spike TV enters stage left with “Countdown to UFC 117.” The hour-long documentary debuts tonight at 11PM ET/PT on the edgy network. 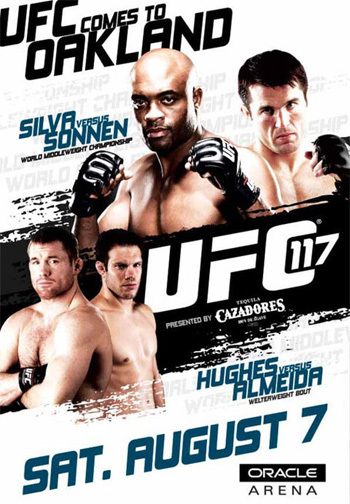 “UFC 117: Silva vs. Sonnen” will be jumping off this Saturday inside Oracle Arena in Oakland, California on August 7th. The pay-per-view broadcast will also feature the long awaited rematch between welterweight studs Thiago Alves and Jon Fitch, as well as a heavyweight top contender matchup between Junior dos Santos and Roy Nelson.